When resolution 1325 was adopted by the UN Security Council in 2000, it was a groundbreaking recognition that women's participation in conflict management is a matter of international peace and security. All UN member states are obliged to implement resolution 1325. 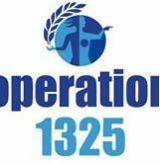 Since 2011, Operation 1325 has monitored the Swedish implementation of the resolution. It has long been recognized by civil society actors that there is a need for research and data collection on the level of implementation of resolution 1325. In 2010, the Global Network of Women Peace Builders initiated a global monitoring project, compiling monitoring reports from civil society organization around the world, on the national implementation of resolution 1325. This report is the Swedish contribution to the global monitoring report Women Count, which in 2013 comprises 15 countries. The aim of the global monitoring report is to advocate for more effective measures to put women's participation on the global agenda of conflict management and security policy. This report was presented at the international level, alongside other country reports, in New York on the anniversary of resolution 1325. This report is also the only civil society effort to monitor the responsible Swedish agencies' implementation of resolution 1325. The aim of this report is to hold the responsible agencies accountable to their commitments and to collect experiences and lessons learned in order to speed up implementation efforts in Swedish international development cooperation, diplomatic relations, conflict management and in peace keeping efforts.